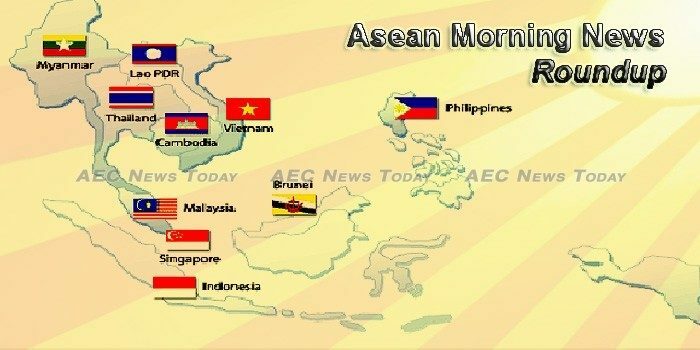 Singaporeans will enjoy greater stability and benefit from a more prosperous South-east Asia if the Association of South-east Asian Nations (Asean) can strengthen regional cooperation and become more effective under the Republic’s chairmanship next year, said Prime Minister Lee Hsien Loong. Take one mid-size child, a large wok partially filled with water, and a fire made from twigs. Set the child in wok and leave to simmer. A safe basting child such as the one above will ease the amount of effort required. No, no, no. Wait! That’s not what this is about at all. A new centre launched in Singapore on Tuesday (Nov 14) aims to combat cybercrime and ramp up cyber information sharing among 49 financial institutions in nine countries – Australia, India, Japan, Malaysia, New Zealand, Singapore, South Korea, Taiwan and Thailand. CONCERNS about Rakhine state in Myanmar continued to emerge yesterday during Asean-related meetings in Manila, although Southeast Asian countries adhered to a humanitarian-aid framework to deal with the crisis. FOREIGN direct investments (FDIs) that flow into the Association of Southeast Asian Nations (Asean) both from within and outside the bloc continued to weaken, declining by 20 per cent in 2016, the latest official Asean tally showed. After two days of ceremonious meetings, Southeast Asian leaders missed the bullseye in talks about two major human rights issues affecting their region: Myanmar’s handling of the Rohingya crisis and the Philippines’ bloody campaign against illegal drug traffickers. US President Donald Trump on Monday called for closer ties with South East Asia and urged ASEAN leaders not to become “satellites” to anyone, in a veiled caution against China’s growing clout in the region. The Association of Southeast Asian Nations (ASEAN) said on Tuesday that the bloc and its trading partners will try to finish talks on the Regional Comprehensive Economic Partnership (RCEP) free trade agreement (FTA) next year. Leaders of Southeast Asian nations, led by President Rodrigo Duterte, on Tuesday night signed a landmark agreement on the protection of migrant workers. After a decade, the Association of Southeast Asian Nations (ASEAN) has finally made progress in ensuring the protection of migrant workers. Ensuring maritime security in the South China Sea – with freedom of navigation and overflight guaranteed – is a commitment the Association of Southeast Asian Nations (ASEAN), the United States and the European Union (EU) have agreed to uphold. Foreign policy analysts remain skeptical about the agreement between China and Southeast Asian nations to officially start negotiations on a legally binding code of conduct to resolve disputes in the South China Sea. Assam government is waiting for Centre’s approval for opening consulates of 10 ASEAN nations in Guwahati and has dubbed it as the launch pad for Prime Minister Narendra Modi’s Act East policy to venture into the huge market in India’s eastern neighbourhood. Prime Minister Narendra Modi on Tuesday strongly pitched for setting up of a rules-based regional security architecture in the Indo-Pacific region, in a clear display of convergence of strategic interests among major powers and India, and sending a subtle message to China against its military assertiveness in the area. No-frills airline group AirAsia is taking a bolder move to strengthen its brand identity within Asean. Russian Prime Minister Dmitry Medvedev reportedly told Prime Minister Hun Sen during their meeting on the sidelines of the Asean summit in Manila on Sunday that Russian would provide support for Cambodia’s national elections and would send a team of observers to monitor the elections. U.S. diplomats pushed back on Tuesday against Cambodian government accusations that the United States has meddled in Cambodia’s internal affairs, calling the charges unfounded and harmful to improved and productive relations between the two countries. Indonesia’s central bank is widely expected to keep its key interest rate unchanged on Thursday (16/11) despite sluggish economic growth, as it prioritizes stability before an anticipated hike in US rates. Indonesia has amended contracts with 13 coal mining companies, including some of the country’s biggest producers of the fossil fuel, as part of a shift toward a new mining permit system it expects to boost government revenues. President Joko Widodo or Jokowi has asked the European Union (EU) to stop discriminating palm oil. The Lao government plans to expand the area under coffee cultivation as part of efforts to increase crop quantity and quality and sustain the earnings of growers until 2025, a senior government official has said. The Asian Development Bank (ADB) has approved a US$10 million grant as additional financing to the Trade Facilitation: Improved Sanitary and Phytosanitary Handling in Greater Mekong Subregion Trade Project in Laos. Malaysia and Indonesia view the export restriction against palm oil into the European Union (EU) very seriously and are ready to take joint action to counter the discrimination which will otherwise jeopardise more than 18 million smallholders in both countries, says Malaysia’s Prime Minister Najib Tun Razak. The Conference Board, a New York-based global, independent business research association, has projected that Malaysia would record a five per cent gross domestic product (GDP) growth in 2018, slightly lower than the 5.5 per cent growth in 2017. U.S. Secretary of State Rex Tillerson will focus on the need to stop the violence and stabilize Rakhine state when he meets with the head of Myanmar’s military on Wednesday, a senior State Department official told journalists in Manila. President Donald Trump addressed the humanitarian crisis roiling Myanmar on the final day of his trip through Asia, albeit during a closed-door lunch with fellow leaders at the East Asia Summit. THE VIOLENCE of ISIS does not come close to that being carried out by the military against the Rohingya in Myanmar, a documentary filmmaker has revealed. Canadian Prime Minister Justin Trudeau discussed the extrajudicial killings and other human rights issues in the Philippines during an informal talk with President Duterte on the last day of the 31st Association of Southeast Asian Nations (ASEAN) Summit and Related Meetings yesterday. The economy likely sustained its strong growth momentum in the third quarter, buoyed by brisk consumer and government spending, while higher exports and agricultural output provided a further boost. Singapore’s move to expand its cross-border financial services could see cheaper and more convenient financial transactions with the two digitally-savvy countries, say analysts. Singapore Prime Minister Lee Hsien Loong on Tuesday (Nov 14) called for the 16 countries involved in negotiations for a free trade agreement (FTA) to adjust their ambitions to “realistic levels”, five years after the process started. Resilience and innovation will be the focus of Singapore’s ASEAN chairmanship in a world that is “rapidly changing”, the country’s Prime Minister Lee Hsien Loong said on Tuesday (Nov 14). The Immigration Bureau has heeded policy to stringently combat over-staying after up to 100,000 foreigners were found to be over-staying their visas and is to coordinate with the Department of Consular Affairs to tighten visa issuance. More than 268 condominium projects were launched, built or completed this year – the highest number within a year for the past 23 years, according to a survey of condominium market by the Agency for Real Estate Affairs. The fourth-largest bank in Vietnam by assets expects to reap VND1 trillion ($44 million) from selling all of its 6.97 per cent in Military Bank and 8.2 per cent in Eximbank in early 2018, according the Mr. Thanh. VIMO.vn E-Wallet announced on November 13 the first intermediary payment unit that allows Chinese travelers to use WeChat Pay (Weixin Pay) e-wallets to make payments in Vietnam dong (VND) at VIMO-accepting stores when traveling to Vietnam. In 1991, the 7th National Congress of the Communist Party of Vietnam passed the strategy on socioeconomic stabilization and development by 2000 with the policy of developing all economic sectors and broadening forms of joint venture and cooperation with foreign partners to boost export. industries.